Anyone else suffer from perpetually cranky, broken nails? I've dealt with my fair share of breaks and general nail turmoil. 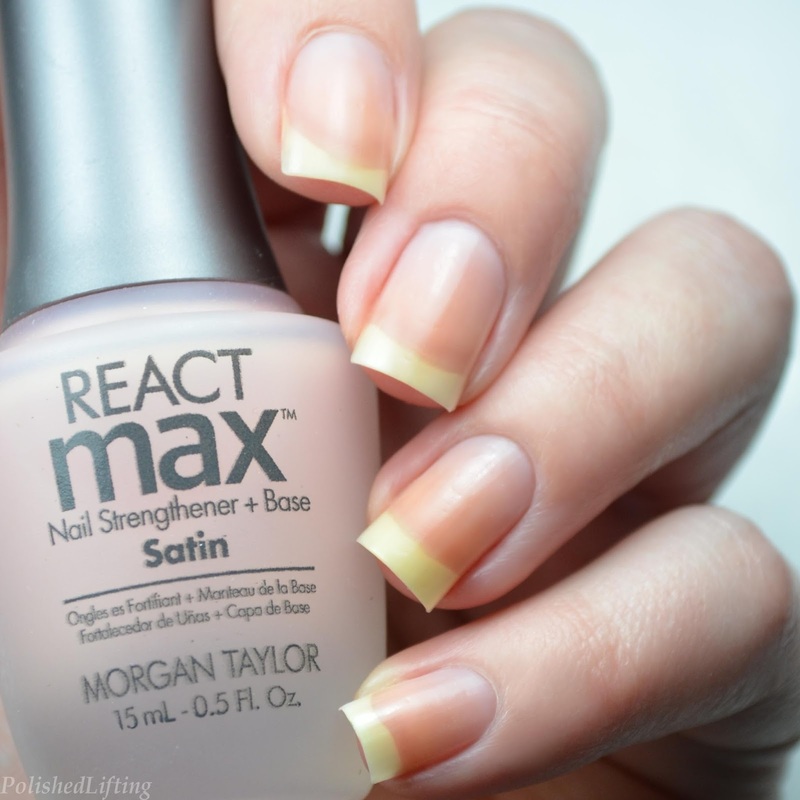 Over the last couple of weeks I've been testing out the new Morgan Taylor React Max Strengthener + Base coat line. So what makes this line so special? 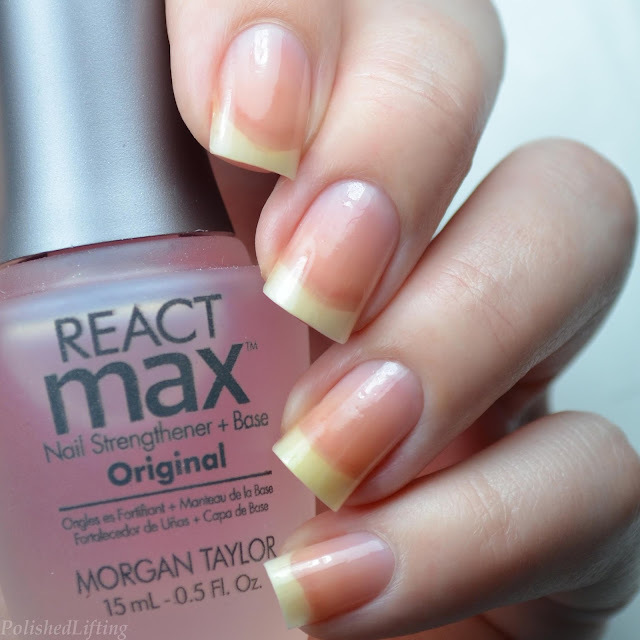 Unlike other nail strengtheners and treatments, the React Max line has zero chance of over-hardening. If this seems like a strange statement, I want you to think back to the last time you used a nail strengthener. Did it seem to work well for a while, but eventually your nails started to break again? If that sounds familiar, it's because you likely used your nail strengthener for too long. Most recommend 1-2 weeks of use and then they tell you to not use it for a month. The beauty of Morgan Taylor's new React Max line is that you don't have to keep track of when you started using it. There are a couple of other perks in addition to the fact that you can wear this as often (or as infrequently) as you like. All three formulas are 5 free, so there's no worry about toxic chemicals. The React Max line also comes in three different finishes if you choose to wear them alone. Let's check out each strengthener individually. The Original formula is about what I would expect from a nail polish treatment. It goes on clear despite the pink appearence of the polish in the bottle. It wears well, and I didn't notice chipping for a few days. This is fairly significant since I'm quite hard on my nails. Just ask me how many times I crush my fingers between plates at the gym. The Satin formula is just like the Original formula, but it dries with a satin finish. It's probably my favorite out of the Morgan Taylor React Max line. I like it because sometimes I prefer more of a low-key look. I know, me doing low-key anything on my nails is kind of odd, but sometimes the mood strikes me. 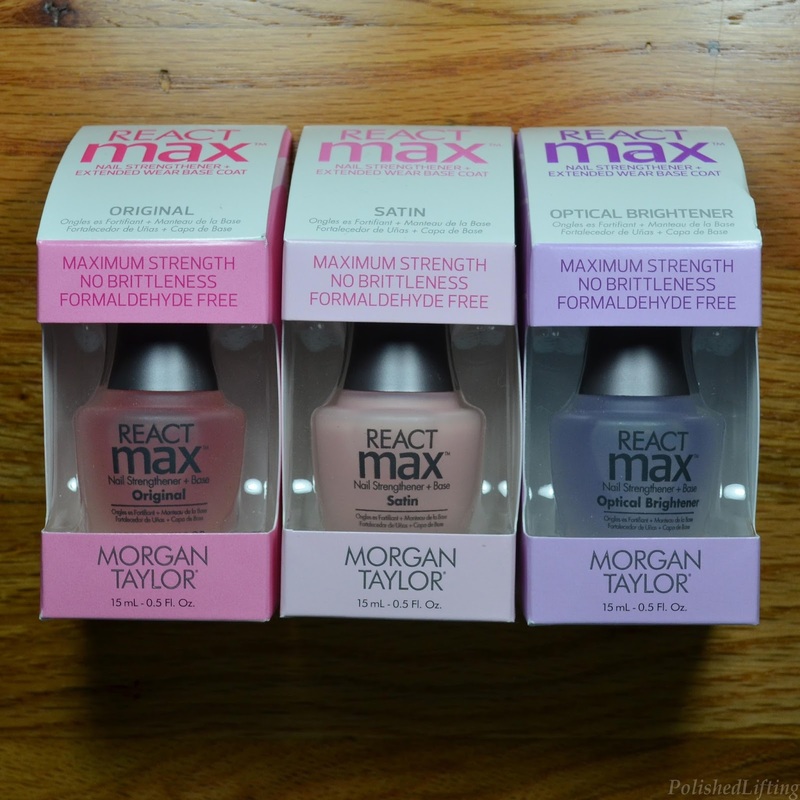 I had huge expectations for the Morgan Taylor React Max Optical Brightener, but it was a bit of a letdown. As a nail blogger I frequently deal with stained nails, so the thought of a strengthener with a brightening appearance was an exciting idea. If you compare this image to the Original formula you won't see any difference between the two. That said, the formula works the same as the Original. There's nothing wrong with the Optical Brightener other than the fact that it didn't do much brightening. 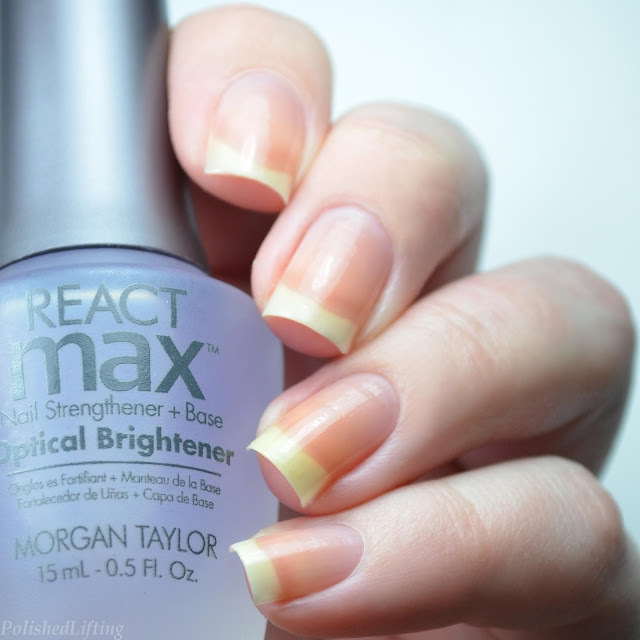 Overall I'm quite happy with the Morgan Taylor React Max Strengthener + Base line. I think they are a huge step up from traditional strengtheners on the market. To purchase any of the strengtheners featured in this post please visit the links below. If you enjoyed this post you might like Morgan Taylor Beauty and the Beast Collection and Morgan Taylor Sweetheart Squadron Collection.